Please join us and help us to kickoff and celebrate our first annual “Week of WOW” as we celebrate the WOW himself, Jacob Weiskopf! 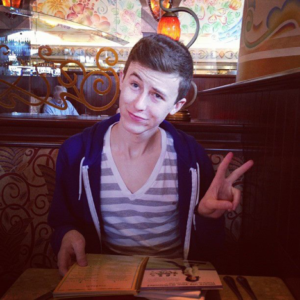 We are encouraging all of Jacob’s friends and loved ones to post a WOW profile* meaning whatever it is that makes your NOW, WOW! In addition to Facebook, we’d love to create a “WOW MOVEMENT” – so please also join us on Twitter and Instagram. In addition today’s Day of WOW celebration, we will be continuing the love with a Week of WOW, which we can only do with your help. Our request is that you perform random acts of WOWness and share those on your social media accounts, as well as on ours! 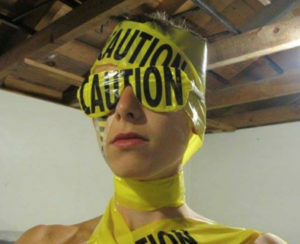 As part of WOW DAY, we want to know what makes your NOW, WOW!! 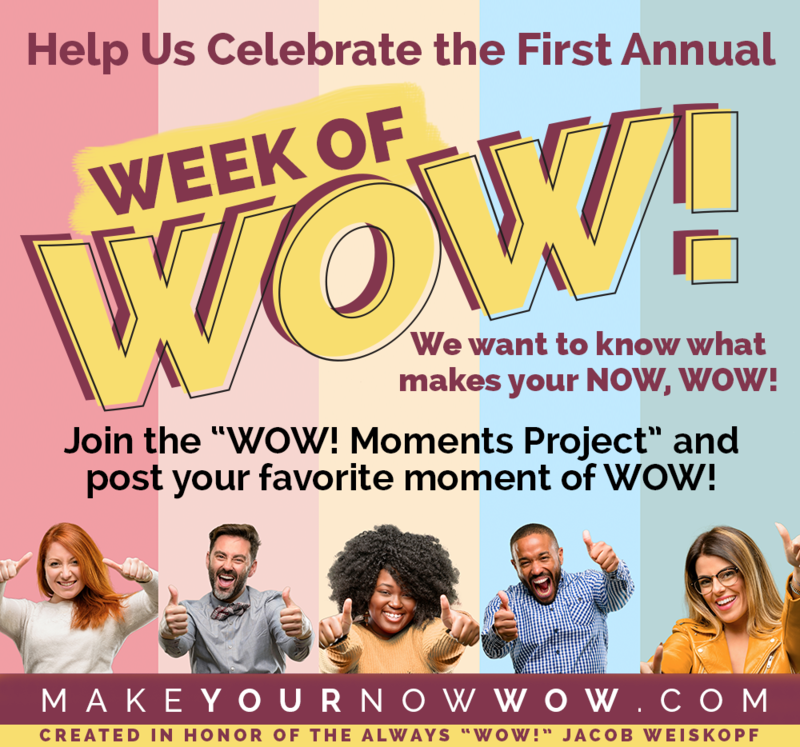 We hope you’ll will participate in our WOW Moments Project – a 30- minute conversation about how you are living your WOW, and what “WOW Moments” mean to you. Our goal is to share 100 WOW Moments, and in doing so, honor Jacob, and more importantly we honor ourselves! Previous If at first you don’t succeed…Try, Try, then Fly! Next What is all this WOW stuff about anyway?